Nelson Ireson July 4, 2013 Comment Now! 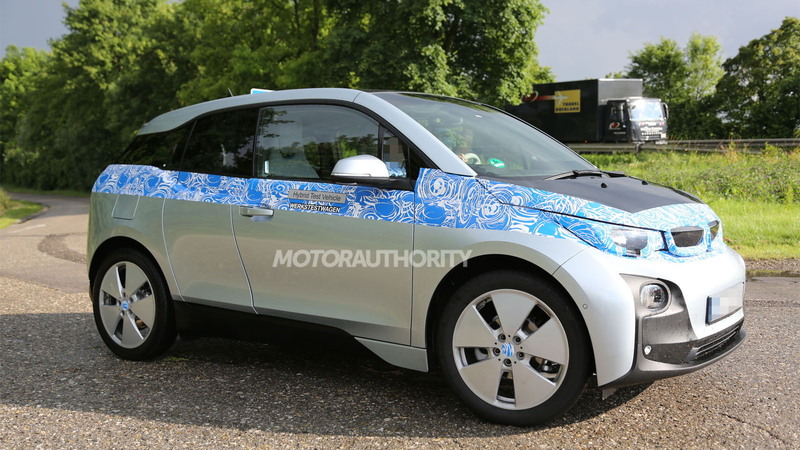 BMW’s revolutionary i3 ‘Megacity’ vehicle is now less than a year away from launch and in the lead up to its eventual arrival engineers are hard at work finishing off the final prototype evaluation. 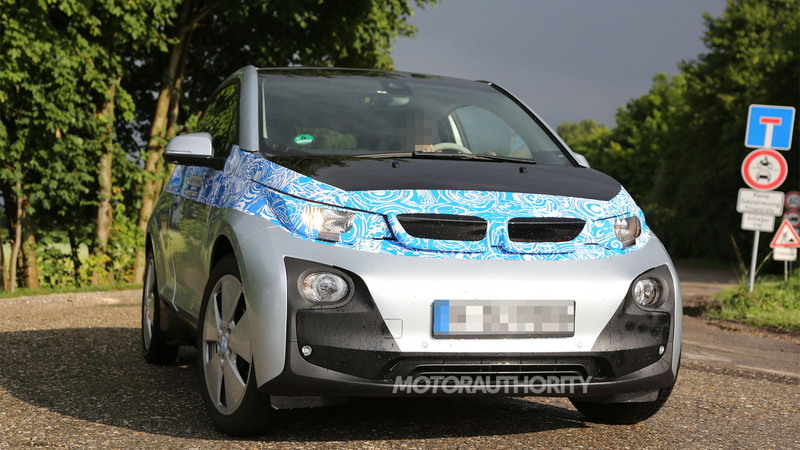 The latest spy shots show the i3 doing a striptease that leaves little to the imagination. If you're not familiar with the i3, it is essentially a rear-wheel-drive electric minicar due out from BMW at the end of the year. 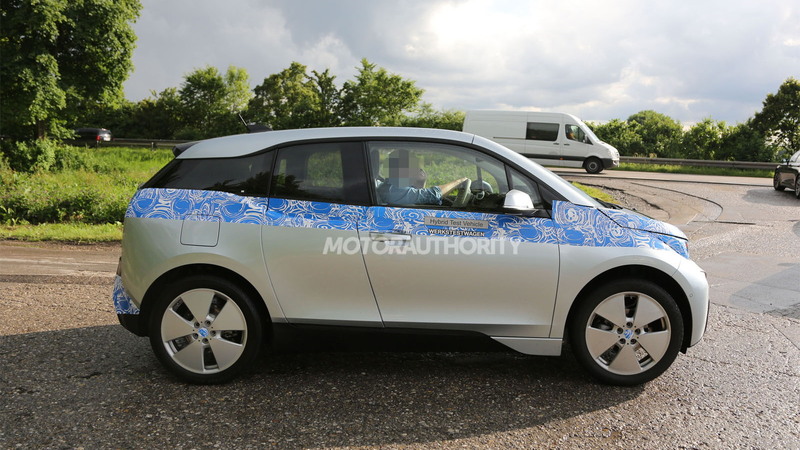 It's aimed at providing a high degree of urban mobility while still allowing the occasional extra-urban long-distance jaunt when fitted with a range-extender, which BMW has said will be available at launch. While the i3 retains the stubby proportions inherent to the minicar class, it wears them well, thanks in part to what appear to be large, if narrow, wheels, and a raked, extended windshield. Apparently, so many people have taken to the car's design that BMW has more than 100,000 eager to test drive one. According to a previous report, BMW is targeting a final price in line with that of a well-equipped 3-Series, so somewhere in the low-$40k bracket. This should get you the basic model, which will come with a 167-horsepower electric motor driving the rear wheels and powered by a lithium-ion battery pack. The total driving range is expected to be about 80 to 100 miles, while the range-extending gasoline engine will help lift that figure to around 186 miles. In the latest spy photos, the bronze example shows two ports, indicating one for gasoline, one for electricity. 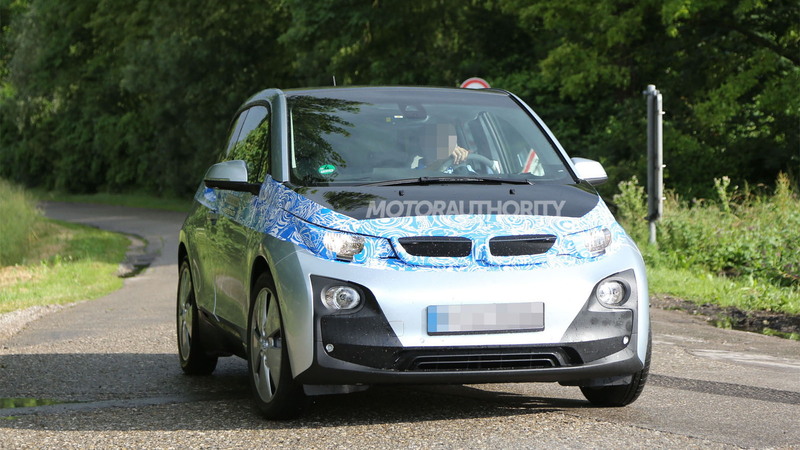 The silver i3 shows only the rear port. The original concept version claims a 0-60 mph sprint of under 8 seconds, making it not exactly quick, but far from pokey. Key to its performance will be lightweight carbon fiber reinforced plastic used for its body. Charging is claimed to be quick, too, with a high-speed charger juicing the lithium-ion battery pack to 80 percent in one hour. There is still a little bit of development before the i3 reaches production, but if the retail car reaches the goals of the concept, at a rate of 40,000 sold per year globally, the i3 could be a very attractive option for urban dwellers and suburbanites alike. 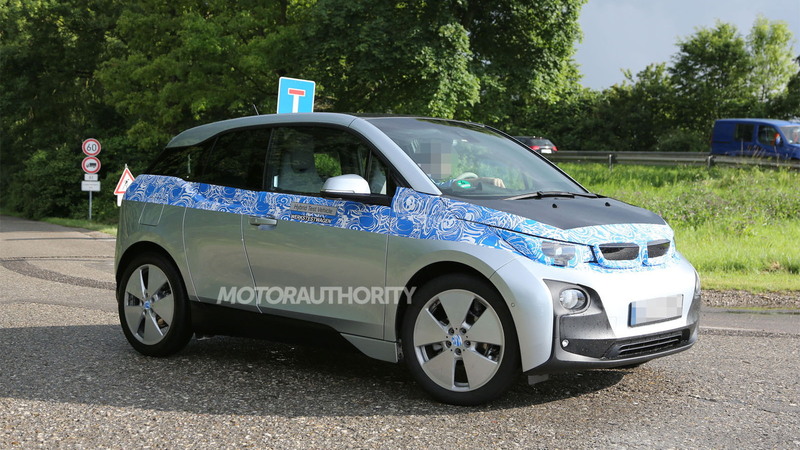 Though we’ve seen many i3 concepts since the reveal of the first one in 2011, we’ll finally get to see the production version at the 2013 Frankfurt Auto Show in September. The first showroom examples should arrive before the year is out. While you wait for its arrival, click here to watch a spy video of a prototype. Note, BMW is also working on a high-end sports car called the i8, which will be the range-topper of its i sub-brand for eco-friendly models. You can watch a spy video of it, too, by clicking here.